This study of Stafford’s Irish families works in the tradition of ‘history from below’ or ‘public history’, and the overall method can best be described as collective family biography. It identifies the total number of settled families in the area and examines in depth a representative selection. It then generalises from these individual biographies. The strength of the method is that it gives not just detailed information about individual cases but provides strong impressionistic evidence of the lives of ordinary people in their time and place. This is something that has often proved difficult in Irish migrant studies. It avoids the dangers of crude ethnic generalisation and stereotyping. The family histories attempt to fuse the sources and techniques of traditional ‘academic’ historians with those of digital historians and genealogists. The study would have been impossible without digital information technology. 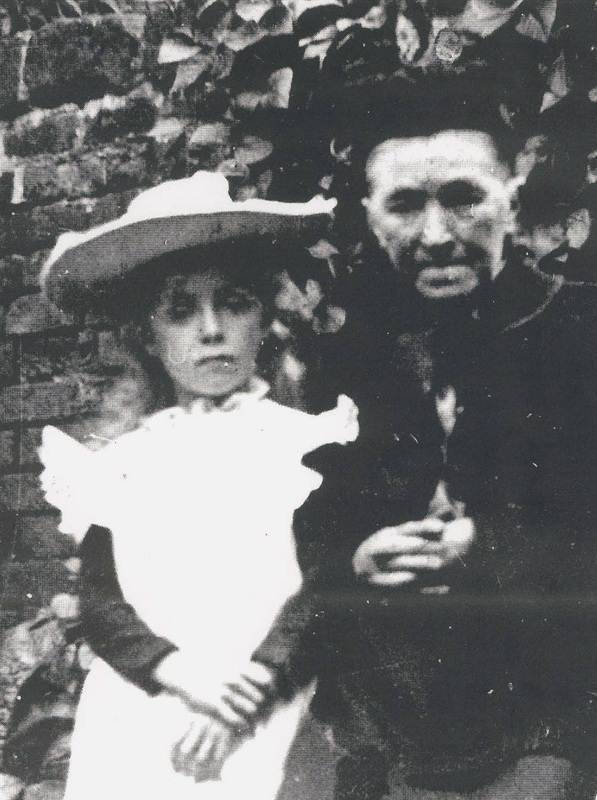 At the heart of the research lies a relational database of material about Stafford’s Irish families. This initially took from the census returns the details of every household in Stafford containing at least one Irish-born person between 1841 and 1901. The database was then expanded to include linked tables on the nature of households and dwellings together with data from burial records, marriage registers, poll books, Poor Law records, military information and other sources. Searching the database continually threw up evidence of meaningful connections that not only helped clarify the structure and interrelations of families but also suggested their likely character, motivations and identities. It enabled a picture to emerge of where families lived over time, of their neighbours and associates and the neighbourhoods they and their descendants frequented. The Staffordshire Advertiser newspaper was trawled from 1826 to 1922 for evidence on the Irish and a summary of each ‘incident’ was added to the database, classified by its type and date, and, where possible, cross-referenced to individuals from the census returns. This emphasises how databases not only aggregate large amounts of data but can also be used to identify individual cases and unexpected connections amidst a superficially inchoate mass of information. They help the researcher produce ‘history with a human face’. Information from descendants of the Stafford Irish was solicited through a newspaper article but mainly through a web-site, Diaspora Connections. This brought over 180 responses from around the world, of which about half provided useful information on sixty distinct Stafford families. During the 2000s the work was increasingly aided by the explosion of on-line data. Such data are, however, far from perfect and use of the genealogy sites in particular revealed numerous cases of mis-transcribed names and missing records. These instances reinforce the need to adopt a critical approach to the digital record and, indeed, to avoid total reliance on it. Documentary material in the Staffordshire Record Office and other archives remained vitally important to the work. The process of writing each family’s history began by reconstructing its genealogy using the census data from 1841 to 1911 and other sources. This provided the skeleton on which to hang the family’s history. Other data was then added and many types of evidence were used in this process. The most priceless would have been surviving letters or diaries but none came to light from the Stafford Irish and their descendants. There was a modest number of photographs and a reasonable number of reported statements in the press. Another source was the knowledge that has come down to descendants. Through contacts by post, e-mail and the website, useful information was offered by many family members and this was followed-up by interviews with twenty of the descendants. The book Divergent Paths links general issues in family history and Irish migration studies to the specific evidence provided by a representative selection of detailed family histories. It does not try to pad out the historical record by writing fiction or even ‘faction’. It confines itself to presenting the known historical facts and discussing what can reasonably be inferred from them. Even so, across each family and over time evidence of its behaviour became available that enabled a plausible picture of its character and ethos to be painted. Information on domestic interactions between husbands and wives, parents and children or with other relatives and associates could suggest whether family relations were close, loving and supportive, negligent, hostile and abusive or somewhere in-between. In some cases obituaries and death reports in the press could provide important clues about the lives, careers, attitudes and family circumstances of individuals and of how they were regarded in the host community. The totality of this evidence throws light on issues of wider significance in migration studies. It covers the long-term experiences of migrants and their descendants rather than concentrating purely on the immediate and stressful aftermath of resettlement. It reveals the ethnic diversity of ‘the Irish’, the range of identities amongst them and how they changed over time and down the generations. It explores more fully than hitherto the gender relations of migrant families and the extent to which they were motivated either by fatalistic attitudes of exile or a more dynamic opportunism. The significance of diasporic connections and consciousness can be counterposed with the impact of the local environment experienced by migrant families. More generally, the work reveals much about how families operated and evolved as social entities, about the specific impact of migration on families and how families interacted with the wider social, economic and political environment. The website has now been taken down and replaced by this blog. The URL of the website (http://www.staff.ljmu.ac.uk/socjhers/stafford/index.html) is defunct. The 1911 Enumeration Returns only became available during the final stage of this work, too late to be included in the database. 1911 data was, however, used in the reconstruction of specific families. The nature of this evidence is discussed in John Herson, ‘Family history and memory’, in Burrell and P. Panayi, Histories and Memories: Migrants and their Histories in Britain, (Taurus, 2006), pp. 210-33. I find this blog extremely accurate and methodologically exemplar – and last but not least very interesting and nice. Many thanks, Flavia. In looking at the Irish emigration in the 19th century (and more recently) we are forced to also look at how the richer countries are treating refugees today. Some very unpleasant parallels.